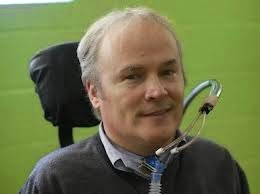 As Steven McDonald is treated in hospital after suffering a heart attack, here are the inspirational words he spoke during the 2008 Trust Mass in Lourdes. In all the world there is nobody like you. Since the beginning of time, there has never been another person like you. Nobody has your smile, your eyes, your hands, your hair. Nobody owns your voice, your handwriting, your unique way of communicating with others. Nobody can paint like you. Nobody in the world sees things as you do. laugh or cry or think may have a totally different response in another. You’re different from any other person who has ever lived in the history of the world. You are the only one in the whole world who has your particular set of abilities. There is always someone who is better at one thing or another. Every person is your superior in at least one way. But nobody in this world can reach the quality of the combination of your talents, your feelings. Through all eternity, no one will ever love, walk, talk, think or act exactly like you. You’re rare, and in all rarity there is enormous value. You’re Special, and it is no accident you are. Please realize that God made you for a special purpose. God has a job for you to do that nobody else can do as well as you can. Out of the billions of applicants, only one is qualified. Only one has the unique and right combination of what it takes, and that one is you.